Pinnacle Metal Products doesn’t make the same cookie-cutter stairs you see in buildings every day. I mean, of course we CAN make that, but what we love doing even more is working with our clients to make custom steel stairs that stand out from the pack. We understand that as you’re constructing your next building, you have a certain design in mind that you want to stick to. That’s why no set of stairs that we make is exactly the same: every single one is different, because we work directly with artistic managers to ensure that our custom steel stairs will bring the vision you have for your company to life. Pinnacle Metal Products is dedicated to bringing your vision to life. We will work with your artistic directors, designers, architects, and site managers to develop a vision and create custom steel stairs that are perfect for your project. Whether you want your look to be modern, classic, traditional, or simply practical, our designers will come up with just the right custom steel stairs for you. Our talented team knows that a set of stairs must fit cohesively into the rest of your building’s design. Stairs can make a building look complete, or they can stick out like a sore thumb and make it look cheap. We strive to make sure our stairs complete your building instead of making it look awkward. 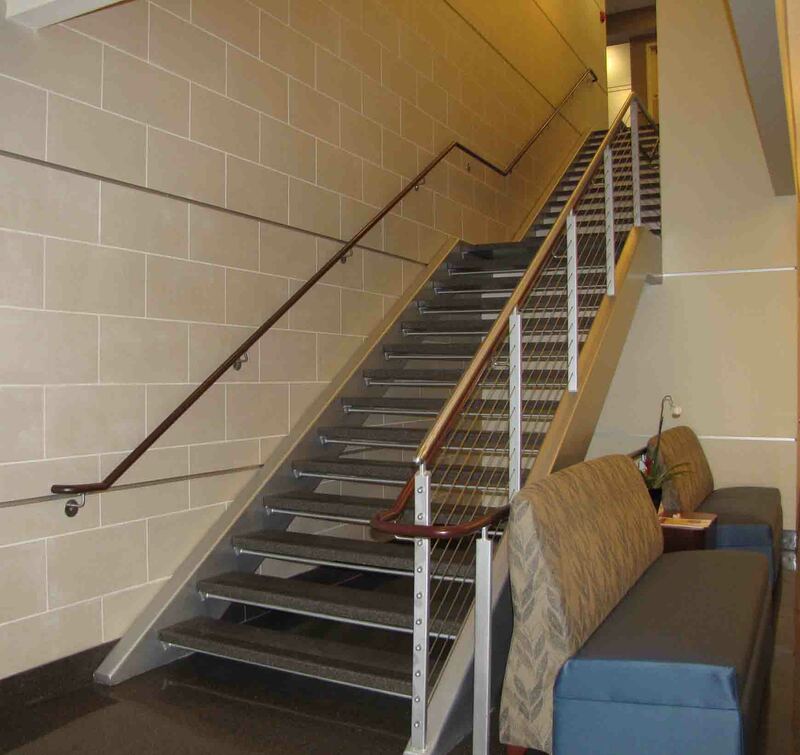 Whether you’re looking for stairs to practically help your employees get from one level of your building to another, you need hand railings to help protect your employees, or you want a creative art piece outside your business, Pinnacle Metal can help you get the highest quality products on the market. If you have any questions about us or our business, give us a call at 1-614-298-0300. We will be happy to answer any questions you might have. Think about what some custom steel stairs could do for your business, and check out Pinnacle Metal Products today.